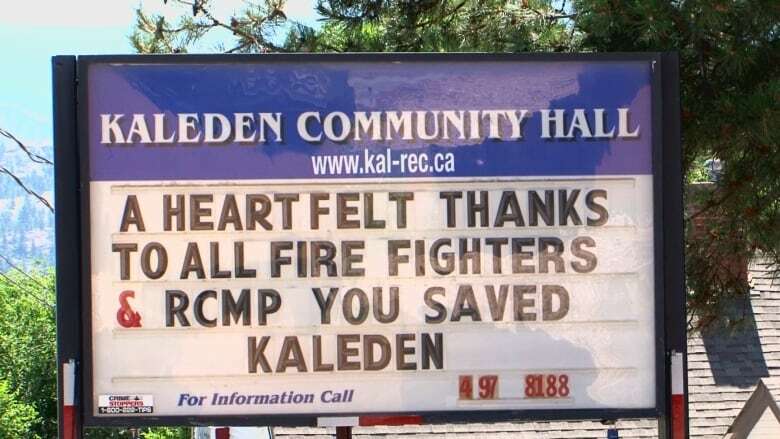 Evacuation order lifted at Kaleden fire south of Penticton, B.C. 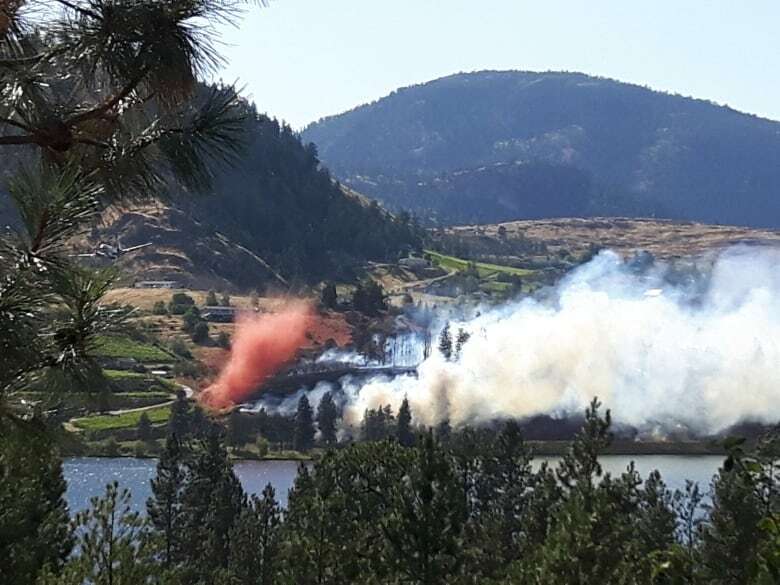 Officials have lifted an evacuation order affecting 18 homes near the wildfire that broke out in the community of Kaleden in British Columbia's South Okanagan yesterday. Officials have lifted an evacuation order affecting 18 homes near the wildfire that broke out in the community of Kaleden in British Columbia's South Okanagan Tuesday. While residents will be allowed to return home, 186 homes remain under an evacuation alert, meaning residents must be ready to leave at moment's notice should the fire flare up again. One home and a shed were destroyed after the aggressive fire broke out Tuesday afternoon. 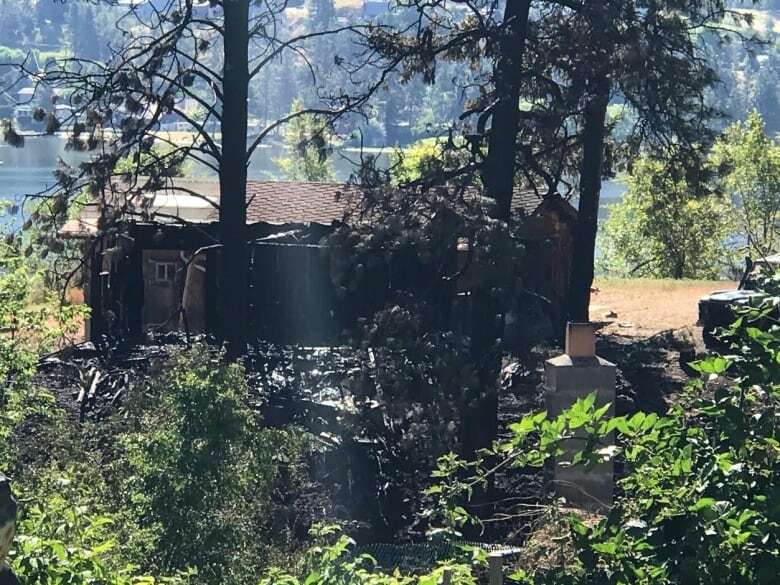 As residents fled, dozens of firefighters spent the night fighting the fire in the extremely dry conditions and managed to save at least six other homes from the flames, according to Kaleden Fire Chief Denis Gaudry. "The guys were in thick smoke, pushing the envelope where we should be. The crews, and by that I mean everybody, worked together as a team and got the job done." 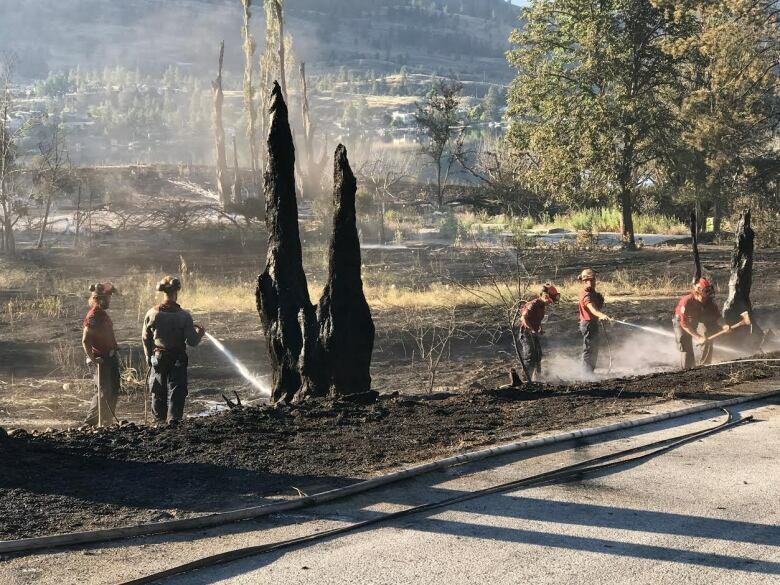 At least 18 homes were evacuated and 165 were put under an evacuation alert after the six-hectare fire broke out on the shores of Skaha Lake, 10 kilometres south of Penticton Tuesday. One firefighter got overheated while fighting a structure fire and had to be taken to hospital for cooling and rehydration, Gaudry said. The firefighter returned to work after recovering, he said. By Wednesday morning, the fire was largely under control, but firefighters were still working to ensure all the hot spots had been extinguished, so it did not flare up again. "We are going to wait until the heated part of the day, to see what sort of hidden fires there are and do an analysis of that," said Gaudry. Investigators are still trying to determine the cause of the blaze, but Gaudry noted there was no lightning in the area when the fire broke out.